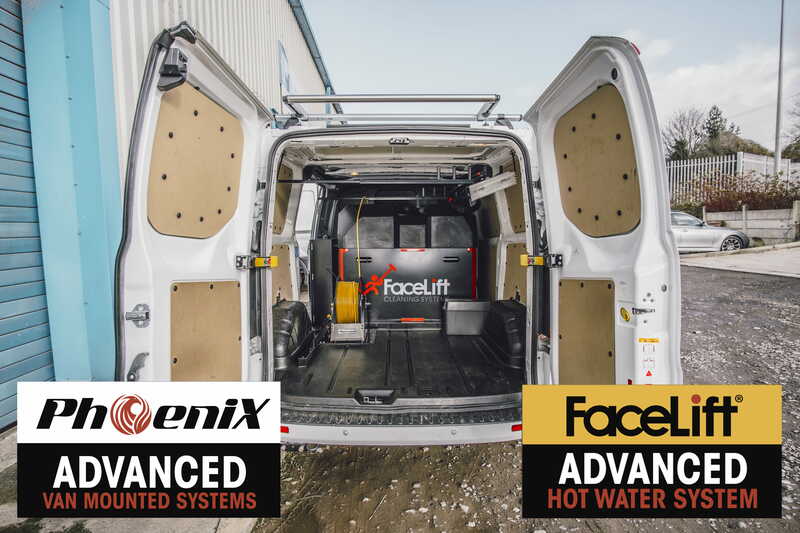 FaceLift Van Mounted Systems are among the most popular Window Cleaning Systems in the U.K. Below are two of our most popular systems, the Compact & Phoenix Van Mounts. FaceLift, as part of Window Cleaning Warehouse, support Window Cleaners operating their first pure water system, right up to working with some of the largest fleets of Window Cleaning Vehicles operating in the U.K. As such, our service and repair network is unrivaled and our aftercare second to none. The Phoenix system is FaceLift’s flagship water fed system. 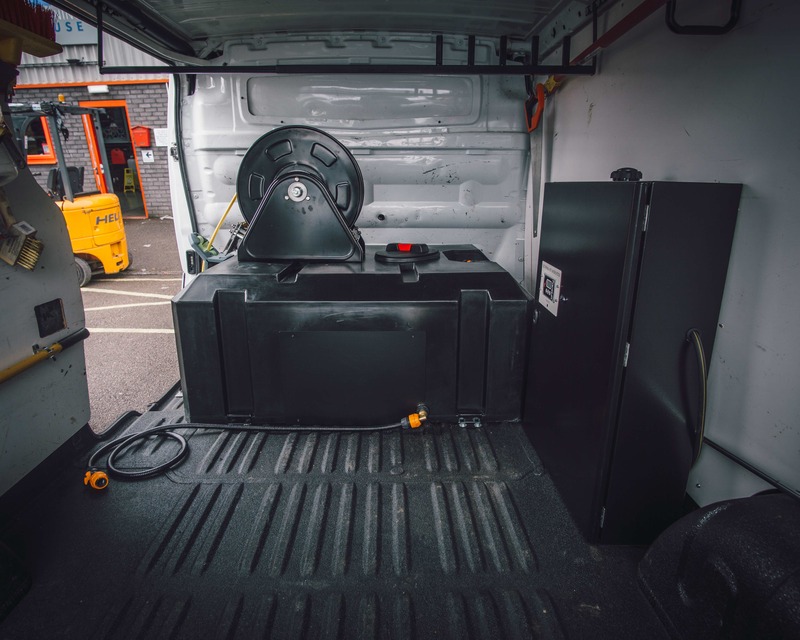 It’s designed to have a compact footprint with all the components fixed interally, maximising the space in the vehicle and protecting against any accidental damage. 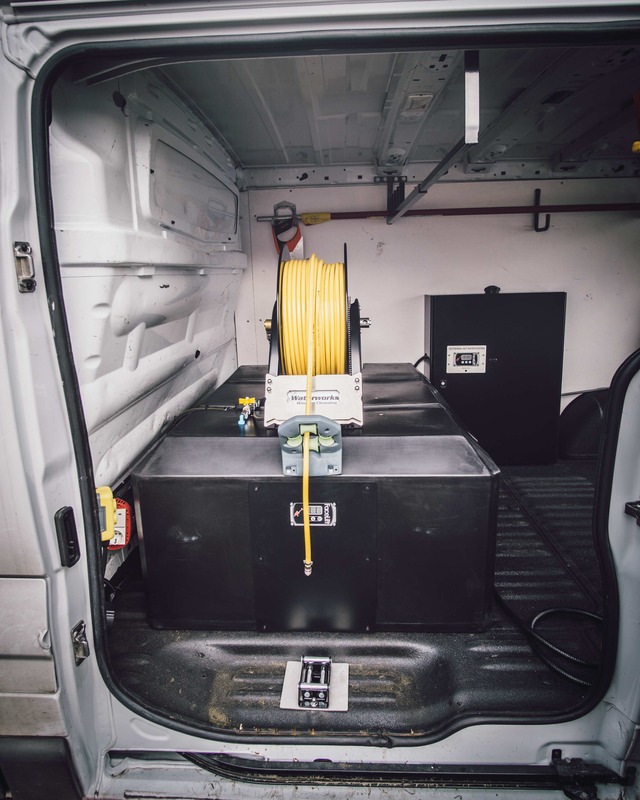 The Phoenix range of Van Mounted Systems come with RO/DI or DI only filtration. Compact 525 Litres. Ideal for mid or larger vehicles such as the Citreon Dispatch or larger. The only Compact system to run double operators. 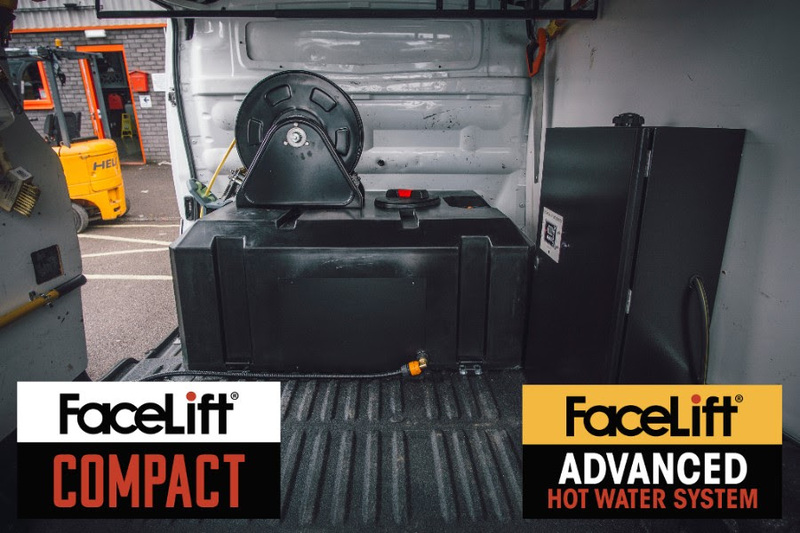 Any of the FaceLift Van Mounted Systems can be upgraded to include the FaceLift HeatWave, a one or two operator hot water upgrade! The HeatWave Systems give you hot water all year round, and the ultimate protection for those frosty days in the winter. The Flagship Phoenix Systems can be upgraded (and retrofitted) with a one or two operator HeatWave to provide hot water all year round. We’re happy to work with you from the ground up, to tailor a system to fit your business perfectly. We can even source the vehicle. The Popular Compact Systems can be upgraded (and retrofitted) with a one operator HeatWave to provide hot water all year round! How Are FaceLift Systems Installed? 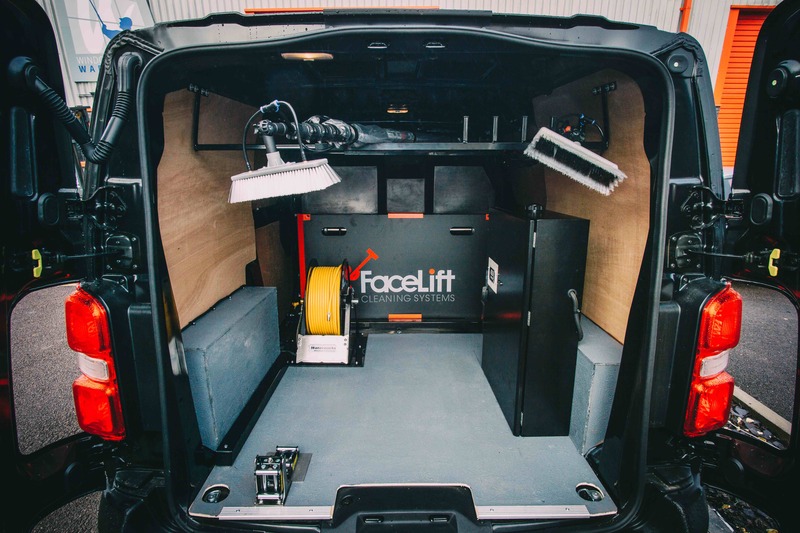 FaceLift Systems can be professionally installed at a number of service centres around the country - though some of the more complex set ups are limited to Window Cleaning Warehouse Regional Depots (South Wales & Liverpool). Contact us to find out the closest place to have your system installed. How Can I Find Out Which System Fits My Van? 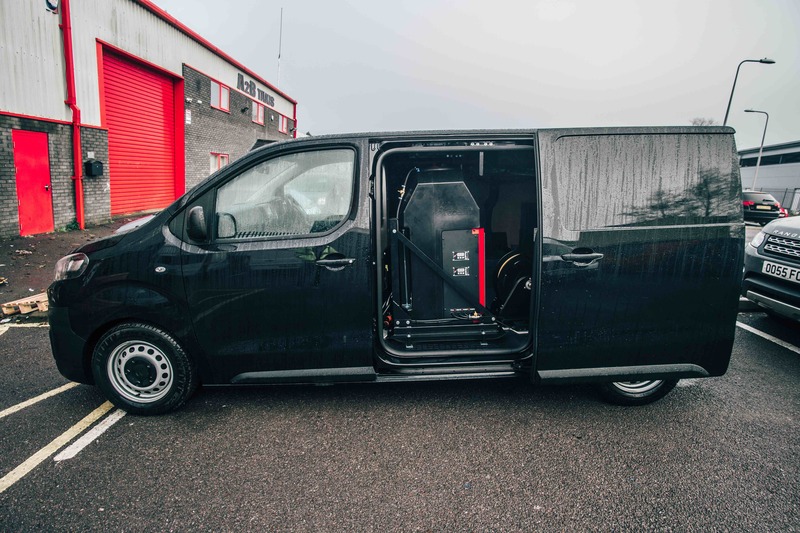 The two primary factors that will limit the equipment you can fit into your vehicle are the dimensions available in the back of your van, & the vehicle payload. Our team are experienced with any van on the road, so feel free to drop us a line if you'd like some help deciding. Interested in a bespoke Pure Water System? Use our system builder to determine how much it will cost!